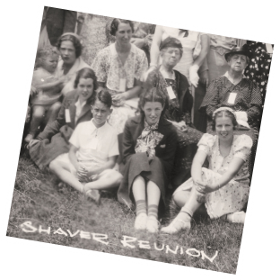 The Shaver family descendants is a huge family group that has a vast and interesting history. Use the menu at the left to view our online historical collection. Using the document below you can pan and zoom (use mouse wheel) the image to find your line on the Shaver Family Tree. Tip: Hover your mouse pointer over the image. Then click on the icon in the very lower right of the image to utilize the entire screen. Press Esc key to exit and go back to our site.